Astrology For May 2017 – The Nodes Are Changing Signs, Get Ready For A Major Shift!! May is marked by the Nodes changing signs – The North Node moves into Leo and the South Node in Aquarius. We will all experience a strong shift toward expressing our creative gifts and talents so we can reach our fullest human potential. The two rulers of the South Node – Uranus and Saturn – will be in trine throughout the month. The temptation to stay comfortably numb, to choose familiarity over possibility, to accept whatever the society is telling us to do needs to be transcended now. Now is the time to shine as an individual, to rediscover your passion and power. The world needs your uniquely creative gifts! May 2nd Mercury turns direct at 24° Aries and the mental fog will lift slowly. The time has come to move ahead with your projects! Thanks to the conjunction with Uranus, your mind is highly lucrative, and your ideas very original. In the next two weeks make use of your brain as much as you can. May 10th is an extremely important day, so make sure you mark it in your calendar. The Nodal axis shifts from the Virgo /Pisces axis to the Leo /Aquarius axis, more exactly the North Node of the Moon leaves Virgo and moves into Leo and the South Node leaves Pisces and moves into Aquarius. Last time we had the Nodes in Leo/Aquarius was from September 1998 to April 2000. Try to recall what happened then so you can get a feeling about what to expect in the next 1 year and a half. In the same day we have a very powerful Full Moon at 20° Scorpio. The Full Moon is highly transformational and will bring positive changes especially for people with Scorpio rising or with planets or angles at 20° Scorpio or 20° Taurus. Pluto, the ruler of this Full Moon, makes favorable aspects with the this lunation (a sextile to the Moon and a trine to the Sun) which is highly beneficial. Plutonian energy is usually difficult to digest but this time we can make the best use of it. Mercury links with Uranus for the last time around this date as well. 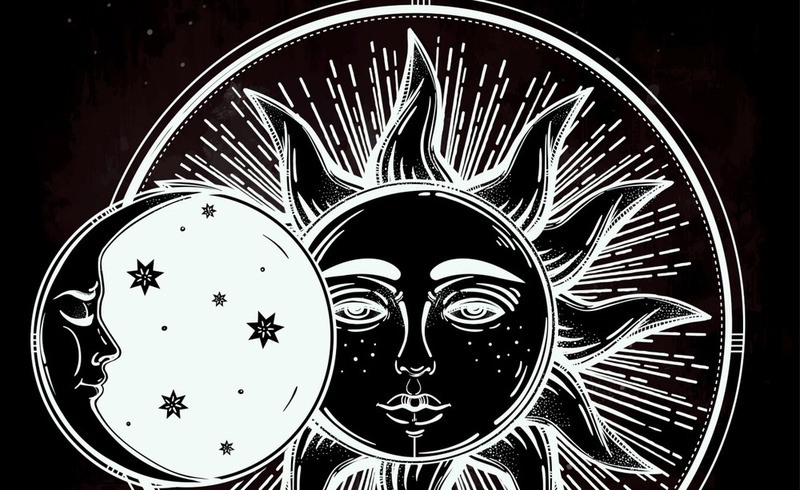 Mercury has been concocting something with Uranus for a few weeks – it is highly likely that the Full Moon and the Nodal shift will activate it – you can expect remarkable breakthoughts and unexpected news around this date! If you have planets around 25° Aries the news will be about you! Expect the unexpected. May 11th Mars is square Neptune and then trine Jupiter, while Mercury is trine Saturn. You can feel a blood rush and a desire to escape the boredom of everyday life. Thankfully, you won’t do anything silly as your mind is practical and focused on what makes sense. May 15th Mercury enters Taurus reactivating the Sun/Mercury conjunction which took place on April 20th. If you started a new project around April 20th you will now gain more clarity about where the project is heading. May 18th Saturn is trine Uranus. The transit will bring the much needed reassurance that we are on the right track with our efforts. Uranus wants progress but most of the time its erratic energy can be too much to handle. But thanks to the stabilizing energy of Saturn we will now have the comfort to move to unknown territories from a place of assurance and ease. People with 26° in Fire signs will especially benefit from this transit and if you have planets around 26° in Leo this is a time of remarkable and durable advancements. May 20th Sun enters Gemini and the atmosphere will lighten up. We have 30 days to feel light and carefree, be curious and explore the world around us. May 25th New Moon in Gemini at 4° and Venus square Pluto. The New Moon is unaspected so the Gemini energy will be expressed freely. This New Moon is great for learning and explorations of any kind. Plan a trip or watch a documentary on a topic you know nothing about. Time to forget about any opinions you “borrowed” from other people, from books, from the TV, and make your own instead. Explore life with a beginner’s mind. May 28th Mars at 25° Gemini opposes Saturn at 25° Sagittarius. You can now feel a friction between the desire to explore the world in your terms and the need to obey the rules of the society. Take it lightly, just like a Gemini would do! May 31st Mercury – now at the speed of light – is trine Pluto and your mental focus will skyrocket. Nothing can get in your way now as you are fully tuned in with your purpose.